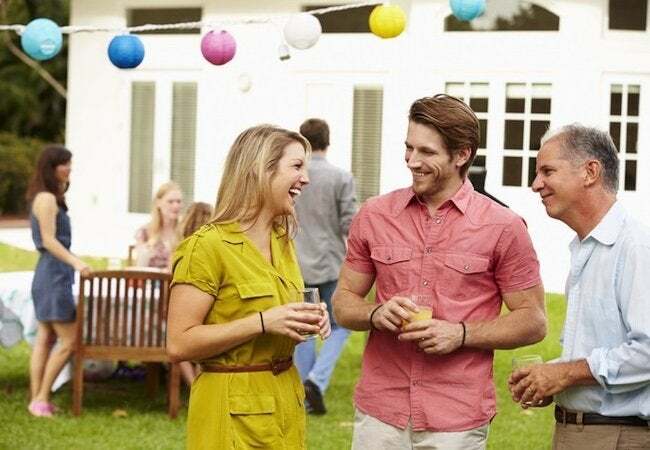 Your summer party will not be crashed by bugs if you keep up with your cleaning, put a few smart techniques into practice, and invest in the Raid® Defense System. There’s no time like summertime. It’s a season of pool parties with the pattering of chlorine-soaked feet trailing in and out of the house. What’s not to love? Well, there’s one major annoyance you could definitely do without: bugs! When friends and family members convene, insects are often the unwanted guests. Ants and stinging wasps threaten to ruin the good time for everyone—and sometimes they succeed. If you’re the host, don’t just cross your fingers and hope for the best. The experts at Raid® have tips and tricks for keeping bugs from crashing your summer festivities. For sanitary reasons, and for the sake of your guests’ appetites, it’s essential to keep bugs out of the kitchen and away from any food you’re preparing. To be successful, you must locate and seal the points where bugs are entering your home. Closely inspect for cracks or crevices, not only along exterior walls, but also in the foundation. If you discover an opening, close it up with caulk. Check your windows and door screens too; even a small tear can be an open invitation. Meanwhile, remember that bugs love an untidy kitchen. On the day of your party, and ideally for several days beforehand, be extra conscientious. Promptly clean up spills and pick up any crumbs, particularly those that land on the floor and too often go ignored. By the same token, frequently empty the garbage can and avoid leaving dirty dishes in the sink. Also, don’t forget to clean out the pet bowl after Fido finishes chowing down! In addition to proactive tips, Raid® offers a suite of solutions, including Raid® Ant Baits to control ant colonies. Here’s how the product works: Set the baits along baseboards, under sinks, in cabinets or near plumbing fixtures. Then it’s only a matter of time before ants feed on the bait and return to their hiding place. The bait transfers to the queen and other ants, thus killing the entire colony. The experts at Raid® recommend setting out a set of baits even if you spot only a few ants. The reason: wherever there’s one visible, many more are likely to be lingering somewhere nearby. Controlling bugs on your deck presents its own unique challenges. Thorough upkeep of the patio is just as important as indoor cleaning. Case in point: don’t forget the grill. After you’ve finished using it for the afternoon or evening, give its exterior a thorough wipe down, then survey the surrounding area for any remaining food scraps. Also, we too often forget to think about the trash area. If it’s anywhere near the area where you’re entertaining guests, double-check that there is a tight-fitting lid. 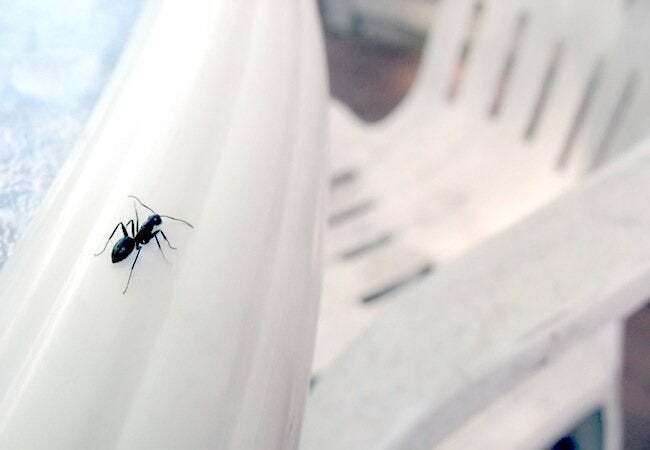 According to a survey conducted by Raid®, the majority of Americans say they would deal with most bugs themselves, including ants and wasps. If you are comfortable, do a sweep for wasps a day or two before your guests arrive. Walk around your property to inspect eaves, overhangs and roofs. If you find one, turn to Raid® Wasp & Hornet Killer, which enables you to attack from a distance and kill the entire nest on contact. It’s recommended that you apply the spray treatment early in the morning or early in the evening. At either time, there’s minimal nest activity. When spraying, stand away from, not directly beneath, the nest. Wait at least 24 hours, then remove the nest. Don’t forget wasps and hornets have stingers—and want to sting you—my advice is to follow label instructions exactly. Around the foundation of your home, try Raid Max® Bug Barrier as an effective deterrent to keep bugs from gaining entry in to your home. Also, don’t forget to spray doorjambs, window frames and floorboards for confidence that, no matter where you host your guests, you’ve taken steps to avoid creepy crawly encounters. Think of it this way: Seven out of 10 people claim bugs make a home less welcoming, according to the Raid® survey. Therefore, bug prevention is thoughtful hospitality. By un-inviting insects, you’re creating a more pleasant experience for friends and family. And, so yes, sure, you’re also avoiding embarrassment. Because, after all, your mother-in-law probably would not be so kind as to ignore the sight of ants on your kitchen countertop. Fortunately, Raid® has your back with a combination of proactive techniques and the Raid® Defense System that allows you to attack, control and prevent bugs. This post has been brought to you by Raid®. Its facts and opinions are those of BobVila.com.